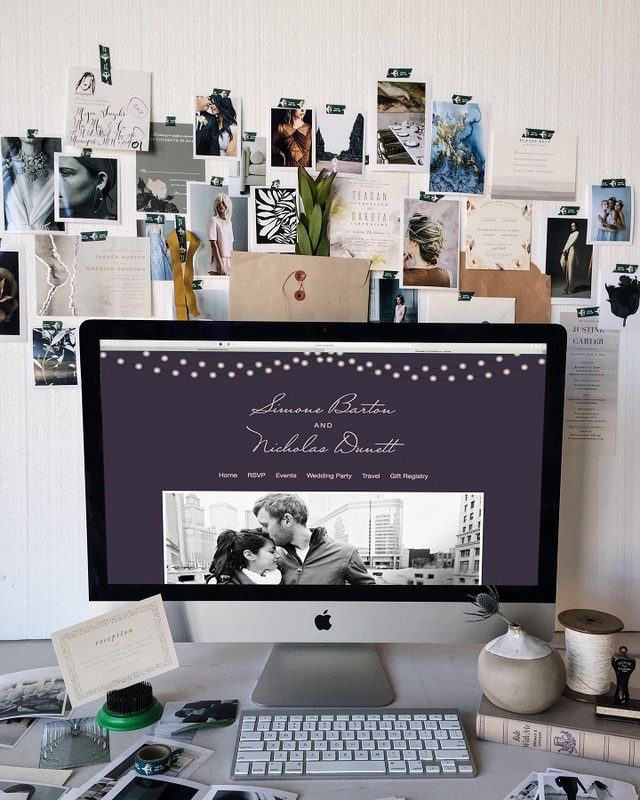 In this era of social media, the newest trend in weddings is creating your own wedding website! 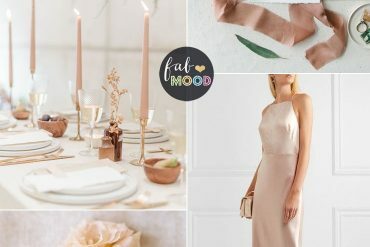 Sure, folks have been using websites to showcase their wedding information for a while now, but there’s a whole new way to reap the benefits of social media and digital wedding planning, and Minted is leading the way! 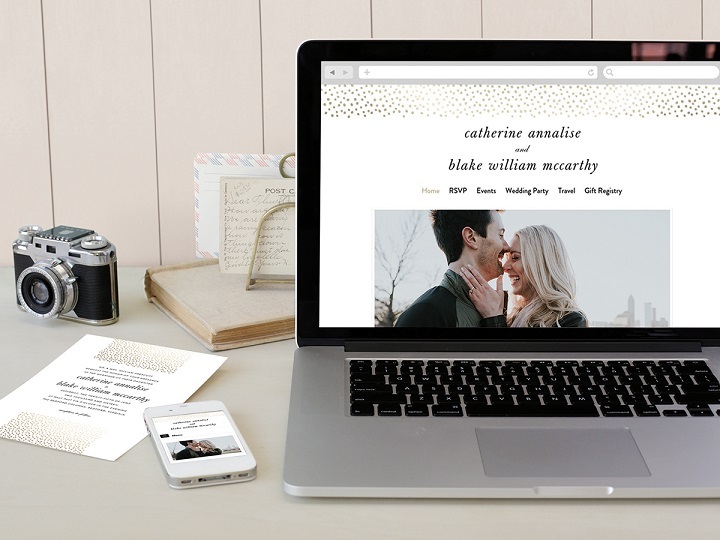 Minted has just released new wedding website templates to match all their stationery. They make it so easy to tie the process together with your traditional mail invitations and paper products that it would be silly not to use their site services. 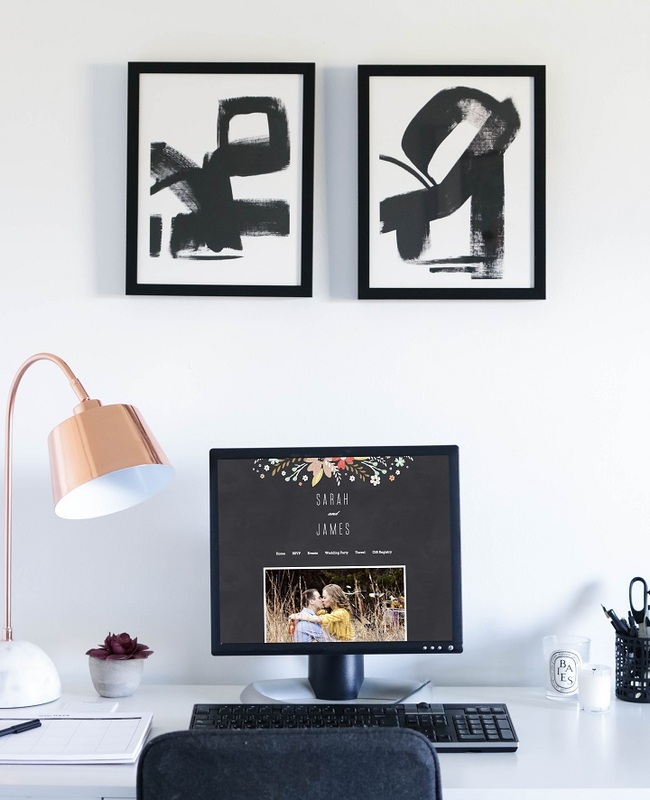 Your wedding website could allow all of your invited guests to RSVP at the click of a button, so you could choose to skip the entire paper invitation process! That means no addressing hand cramps, no paper cuts, no endless licking of envelopes. Most importantly, it saves a lot of paper waste in the environment! Consolidate all the important details into one easy-to-find spot. 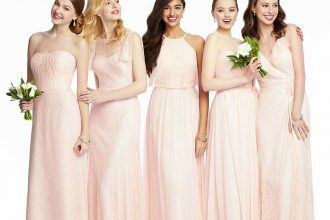 Details like dress code, directions to the rehearsal dinner, parking suggestions and lodging accommodations are difficult to fit into a traditional invitation and are a necessary part of your wedding. Make it super easy on your guests, especially those travelling long distance who might have left the invitation by accident! Put it all on your website with a domain name that’s easy to remember, and your guests can pull it up on their mobile device 24/7 without having to bother you with 100 questions! 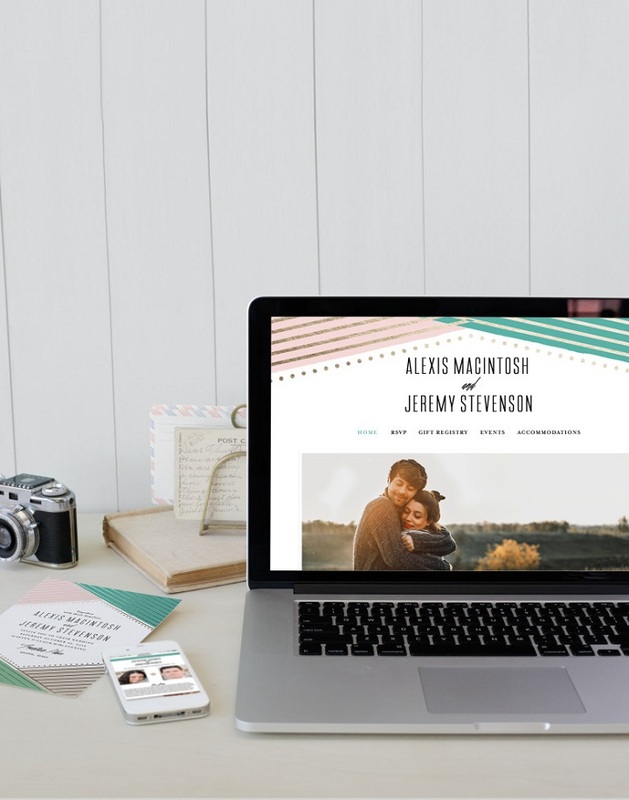 A wedding website is a great place to tell your love story, show off your engagement photos, and tell your guests all about who you really are! Especially for your future in-laws who might live long distance who may not have had the pleasure of meeting you yet. 4. Expand on a Theme! 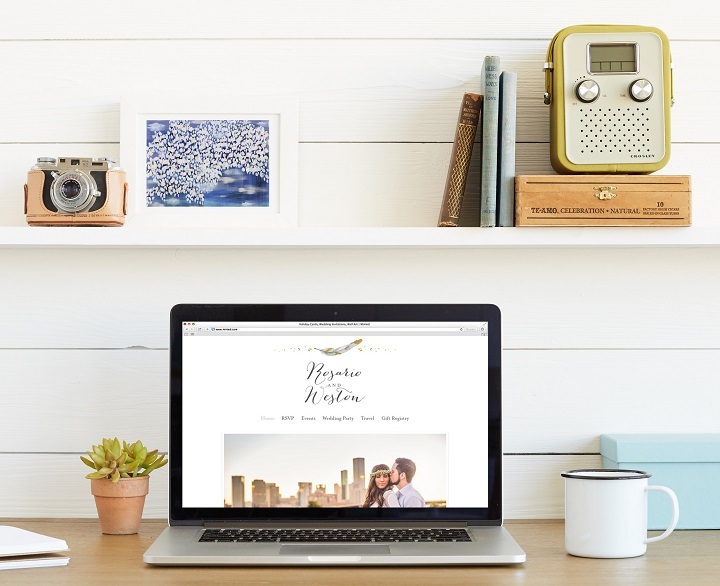 If you love DIY and being creative, a website is a great way to expand on your wedding theme. 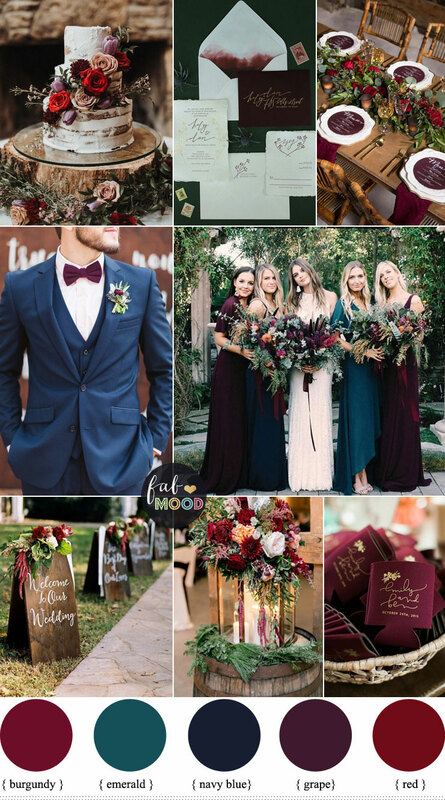 Just like sending out themed invitations and using motifs on your place cards and thank-you notes, you can customize your website with your wedding’s color or theme. Having a beach wedding and want everyone to wear Hawaiian shirts and flip flops? Post it on your site with creative floral designs and eye-catching announcements. Want to create an ancestry memorial table for the reception? Post your story on your site, and let everyone know to bring their favorite family photo with them! 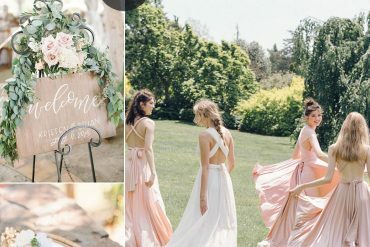 Heaven forbid your outdoor ceremony gets rained-out, but IF it does, you can share last-minute venue changes on your site to notify all of your guests in attendance in real time! The days of using a “phone tree” are over – no need to waste your wedding day making phone calls to every guest, just shoot a message via your website to their mobile device. 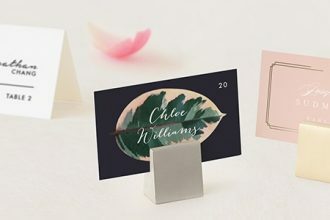 Check out their website to see all of the gorgeous designs at Minted.com, and be sure to see their sample customized designs too for ideas on how you can make your own wedding website and tie it in with a gorgeous paper suite for your wedding!